TheTownCrier: Do you think the GOP will stop abusing you, THIS time?? Do you think the GOP will stop abusing you, THIS time?? [snip]America’s free-speech model is in desperate need of an update, says an American-Muslim human rights activist who recently spoke at an event linked to an Obama administration appointee. Many conservatives feel that Muslims, with questionable ties to radicalism/jihad, are given too much importance in the Obama Administration. One could logically arrive at that opinion. Dr. Azizah al-Hibri , a Lebanese-American is also the founder and executive director of KARAMAH: Muslim Women Lawyers for Human Rights. This organization is heavily funded by the El-Hibri Charitable Foundation, which was established by Al-Hibri’s brother Ibrahim, who earned a fortune from his business transactions with Saudi Arabia. Another major donor has been Saudi Prince Alwaleed bin Talal, whose $10-million-dollar check for post-9/11 disaster relief was famously rejected by then-New York City mayor Rudolph Giuliani when the prince suggested that U.S. policies in the Middle East had provoked the al Qaeda attacks. Al-Hibri served on the advisory board of the American Muslim Council during the 1990s, a time when that organization was under the leadership of Abdurahman Alamoudi, who would later be convicted and incarcerated on terror-related charges. Yes, that is the same Abdurahman Alamoudi, we told you about, who wrote checks to the right's favorite lobbyist and guru, Grover Norquist to fund his Islamic Institute. Grover G. Norquist - President, Americans for Tax Reform, ACU member, CPAC organizer. What is that old biblical adage about getting the log out of your own eye before picking at the splinter in the eye of someone else? Republican grass roots people would do well to heed the warning! You're being USED! There are a few rare 'conservative' groups that are not infiltrated, if not taken over outright by the same circle of people who run the ACU/CPAC. The same group who wouldn't tolerate any criticism of its leaders. I think I know what kind of 'free speech' is being planned for us! Pam Geller, Robert Spencer, Frank Gaffney, David Horowitz, Michelle Malkin, dozens of others along with yours truly have tried for years to warn you of the corruption of Grover Norquist and the open border, radical Islam operatives he surrounds himself with. But like battered wives, your damaged eyes just refuse to see. David Keene is no longer with the ACU. He dragged it into the bowels of the left by promoting amnesty and other 'big tent' nonsense and went on to the NRA, where Grover Norquist also sits as a board member. How long before we lose the 2nd amendment to this cabal who wants our free speech stifled, while radical Islam and illegal aliens are celebrated, as our county becomes no longer sovereign because of amnesty and unprotected borders? 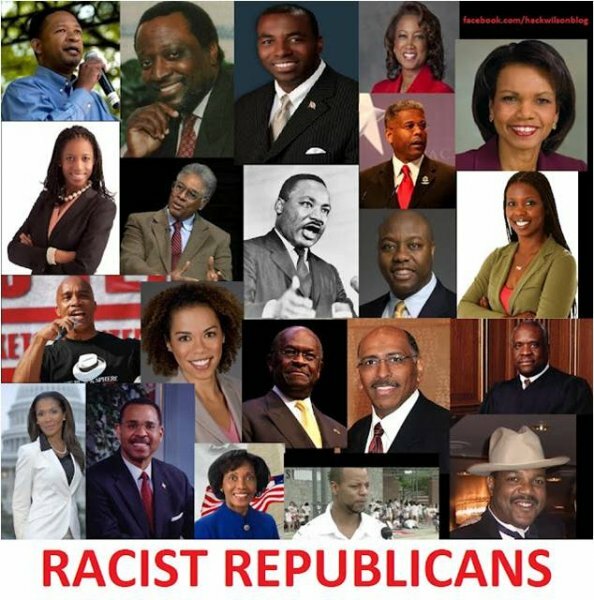 I simply do not believe the media lie that 95% of Black Americans support Barak Obama and his leftist/socialist policies. as his mother pleaded for mercy. 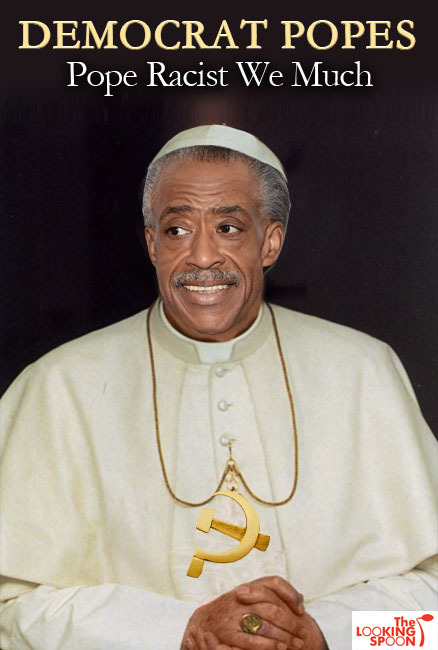 You know, the kind that Al Sharpton race pimps on TV. But where is he now???? Looking for another Tawana Brawley. SHAME! The week just wasn't complete without the one and only Michael Moore chiming in! Yeah, you FOOL! Whites own the most guns, but they DO NOT commit the most crimes! IDIOT! 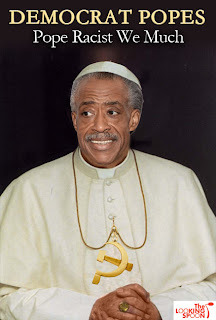 He and Al should go on the road together! Now, an article you need to read, in it's entirety! At Breitbart News' "The Uninvited" Panel during CPAC last weekend, Rosemary Jenks, the director of government relations for Numbers USA, told the packed audience that Republicans have not thoroughly considered and discussed how giving amnesty to 11-12 million illegal immigrants would allow terrorists to receive brand new identities, cost the government $2.5 trillion dollars over their lifetime, and create more Democrats. "The Uninvited" panel, in the spirit of the late Andrew Breitbart, ensured CPAC would have more--not less--voices, and Jenks offered up some truths that even Republicans want to conveniently ignore in their quest for "comprehensive immigration reform" that they think will magically convert Hispanics into Republicans. Jenks told Breitbart News that the "divide between the opinions of the elite and those of the public are nowhere more divergent than on the issue of immigration, and the elites are well aware of this." "It is this understanding that forces bipartisan groups of elites--in the current case including both the Senate Gang of Eight and the House Gang of Eight--to negotiate 'comprehensive immigration reform,' or amnesty, in secret behind closed doors, in the hopes that they can ram it through Congress before the American people know what's happening," Jenks said. Jenks said even some of the organizers of CPAC are among the elites who attempted to "restrict any discussion of immigration to a single one-sided panel of elite amnesty supporters" with hopes that "grassroots conservatives would go along quietly and not challenge the elites' views." She said Breitbart News realized that "grassroots conservatives are rational, thinking people who deserve to hear both sides of issues that will affect every aspect of their lives and the future of our country." "The Uninvited Panel offered common-sense viewpoints that resonate with regular Americans, much to the dismay of the elites," Jenks said. On "The Uninvited" panel, Jenks said President Barack Obama's immigration plan is just a "slightly more liberal twin" to the bipartisan immigration framework supported by Republican senators like John McCain (AZ), Lindsey Graham (SC), and Marco Rubio (FL). That framework, supported by the so-called "Gang of Eight," would give legal status to illegal immigrants currently residing in the country. Jenks said that Washington is run by special interests groups, and this is especially true when it comes to immigration. "Big business interests seeking cheap labor and religious leaders seeking to fill the pews dominate the issue from the right, while ethnic advocacy groups seeking political clout, unions seeking more dues-paying members, and immigration lawyers seeking profits dominate from the left," Jenks told Breitbart News. "Add to that misguided Republicans seeking a way to garner Hispanic votes and Democrats knowing full well that immigrants will vote overwhelmingly Democrat, and you have a situation where the only people not represented are the American people." Most importantly, she noted during her CPAC remarks that illegal immigrants who overstayed their visas were involved in acts of terror, such as the 1993 World Trade Center bombing and the Brooklyn subway bomb plot. She said one terrorist applied for amnesty in 1986 after overstaying his tourist visa, and then promptly used his newfound green card to go to Afghanistan and get terrorist training. Jenks, on the panel, said the current comprehensive immigration proposals do not have "have any means from preventing terrorists from getting amnesty" or "tracking people who overstay their visas." As a result, she said the amnesty programs would essentially allow the United States government to potentially issue terrorists "an official brand new identity" because there is no process in place to check the validity of the identity illegal immigrants claim when getting official papers that confer legal status. Jenks cited a Heritage Foundation study that found illegal immigrants cost the economy $55 billion a year in services. If these immigrants get amnesty, they will qualify legally for more services, costing taxpayers $75 billion a year. In addition, the lifetime cost of giving 11-12 million illegal immigrants amnesty would be $2.5 trillion, she said. Lastly, Jenks noted that amnesty would just create more Democrats. "Passing amnesty is not going to get Hispanics to vote Republican," Jenks said, noting it would just increase the electoral advantage of Democrats, because illegal immigrants want more government services and favor liberal policies. Jenks called for a mandatory e-verify system, entry and exit points at all ports, and an enforceable guest worker program only for agriculture after the ports were secured. She said it is bogus that politicians claim immigrants need to be imported for non-agriculture jobs Americans supposedly "will not do" and said that America should "not be importing a peasant class" to do labor Americans have always done. "It is not in our national interest to import poverty," Jenks said, noting that legal immigration should also be reformed with a focus on the nuclear family, immigrants who bring skills that the country needs for its economy and America's fair share of immigrants seeking asylum or that Americans want to take in for humanitarian reasons.